The transition of power also came with several broken links dedicated to civil rights and climate change. The LGBT webpage of WhiteHouse.gov no longer exists. Visitors to the page, which was formerly dedicated to highlighting LGBT rights and their advancement, found a broken link Friday, stating, "The requested page '/lgbt' could not be found." GLAAD, the LGBT media watchdog oranziation, also noted that a search for "LGBT" yielded no results on the White House's official website. On Instagram, the group contrasted the empty search page with an archived screen shot of what it looked under the Obama administration. A search for "LGBT" day one of the Obama administration vs. a search for "LGBT" day one of the Trump administration. "A search for 'LGBT' day one of the Obama administration vs. a search for 'LGBT' day one of the Trump administration," GLAAD stated in the caption. Friday, of course, marked Inauguration Day, which is also the day the website of Donald Trump's presidency was put into place. Commenters were not pleased with the page's disappearance. "Disgusting. Absolutely pitiful that we have these soulless monsters in the White House," wrote Jose Carlos. Many expletives from other users followed. GLAAD was not the only LGBT group to remark on the missing page. Rachel B. Tiven, the CEO of Lambda Legal, also released a message in response to the "erasing." “We won’t go back. We won’t go back in the closet, won’t disappear, won’t be silenced. Donald Trump has already nominated a startlingly antigay cabinet, and erasing us from the White House website signals how he truly feels about LGBT people and everyone living with HIV," Tiven stated. Yet "LGBT" was not the only page to vanish once Trump took the Oath of Office. 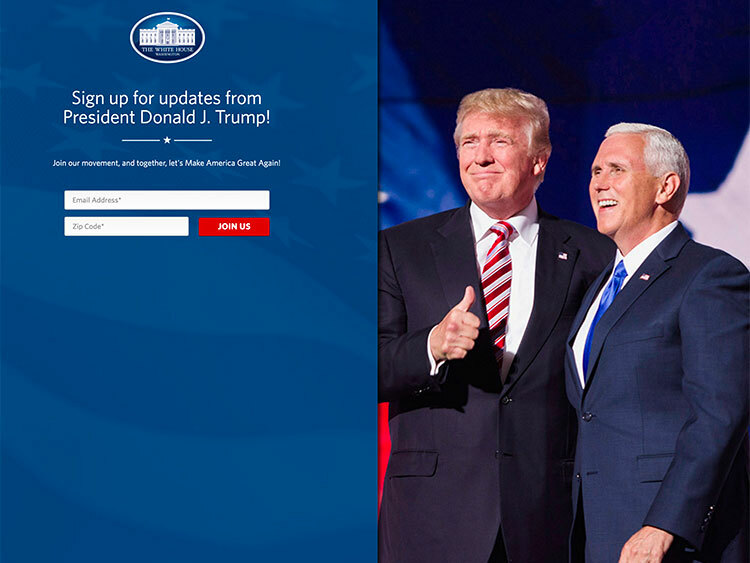 Pages devoted to the National HIV/AIDS Strategy, civil rights, climate change, and the White House Council on Women and Girls have also disappeared. In addition, the Department of Labor's "Advancing LGBT Workplace Rights" report web page is now a broken link. Chad Griffin, the president of the Human Rights Campaign, pressured Trump to respond to the disappearances, and warned that the LGBT community would do "whatever it takes" to fight for equality. “Moments ago, President Trump pledged to serve all Americans, while simultaneously scrubbing every mention of LGBTQ people from the White House website. The Department of Labor’s crucial report on worker rights has also disappeared,” said Griffin. Trump and his administration have vowed to erase Obama's achievements — which include contributions to civil rights, environmental protections, and health care — upon coming into power. However, the broken links, while ominous to some, may also be a symptom of a choppy transition.